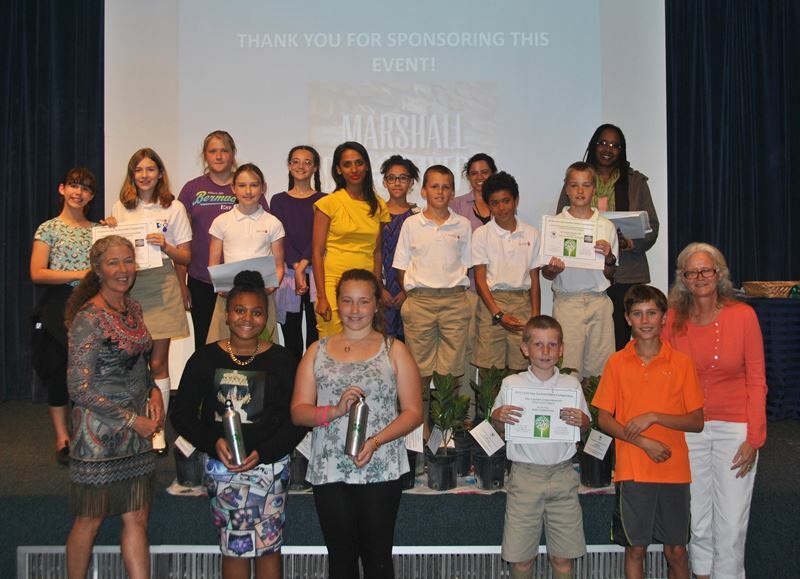 The Bermuda National Trust [BNT], together with sponsor Marshall, Diel & Myers, celebrated Earth Day 2016 by “listening to the voices of our children” at the Earth Day Student Video Competition prize-giving for Primary, Middle, and Senior School students. 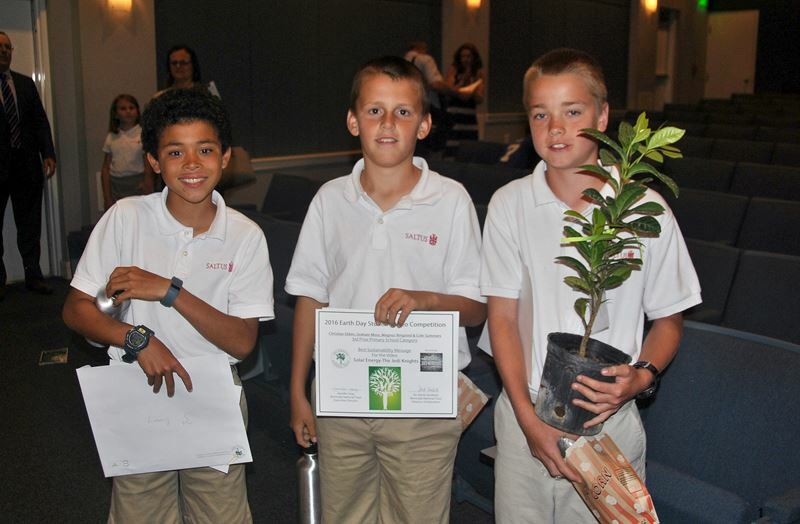 A spokesperson said, “Prizes were awarded to the 50 students who submitted 19 videos, with the overall winner and first prize in the Primary School category going to Saltus students Jessica Bucher, Celena Presti, and Courtney Rego for their video about invasive species called ‘Taking Over Bermuda’. “The videos focused on a wide variety of topics relating to the environment such as green power, invasive species, the meaning of Earth Day, development versus environment and the value of the Bermuda National Trust nature reserves. “Students expressed their stories in different and engaging ways. Saltus students Christian Ebbin, Graham Moss, Magnus Ringsted and Cole Summers used drone footage and interviews to explain photovoltaic cells and to highlighting the importance of switching to solar power in Bermuda. “Rachel Hyland of Saltus showed the beauty of Bermuda’s plants through many photos and gave ideas of how to protect endangered animals. “We encourage Bermuda to view the fine works by our youth by visiting bnt.bm and YouTube. The films will also be aired on CITV. Alma Dismont of Marshall, Diel & Myers Limited said, “Marshall Diel & Myers Limited was the proud sponsor of the Bermuda National Trust’s competition for students to produce a video in relation to the environment. The videos created by the students this year showed a huge amount of dedication of time, creativity and commitment to promoting and protecting the environment.